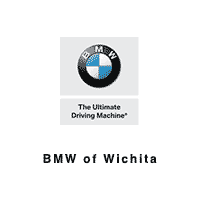 For years, our BMW dealership in Wichita, KS, has been proudly serving the community with unparalleled luxury-vehicle sales, repairs, maintenance and financing. We pride ourselves on our ability to offer luxury-car shoppers with a first-class experience from test-drive to delivery. In addition to a progressive sales approach, we also have an expert in-house service staff. The BMW-certified technicians in our factory-authorized service center boast years of experience and enough finely tuned skills to complete any maintenance or large repair your BMW may need. Whether you're looking for the regular upkeep your vehicle requires to run at its best or you find yourself in need of more major repairs, you can feel confident when you leave your BMW with us. We're even home to a large parts and accessories department. Treat your BMW the way it deserves in our state-of-the-art service drive.